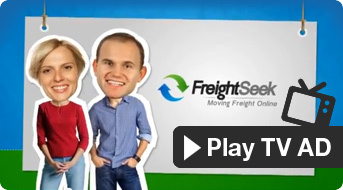 List your freight in the FreightSeek marketplace in under a minute. Customers simply answer the required questions and follow the prompts. We will ask what is in the shipment, what dates the shipment needs to be moved, where it needs to be picked up and where it's going to. Only the customers postcode is shown publicly. Quotes are free and you have no obligation to accept a quote. Transport providers compete for your business providing online quotes. No phone calls! No pressure! All quotes are online. You receive email notifications. Ask any questions you might have about the quotes. When you're satisfied you have found a transporter that suits your needs and budget, simply accept the quote. To book the transporter, you are required to pay a small deposit of 7% of the quoted price or $10 (whichever is greater) online via credit card. When your delivery is complete, we'd love for you to take a minute to answer a couple of questions about your experience with the transport provider. This will help future customers when selecting a transporter.